…and of the Boston skyline. Exactly when and how World’s End got its name remains a mystery. 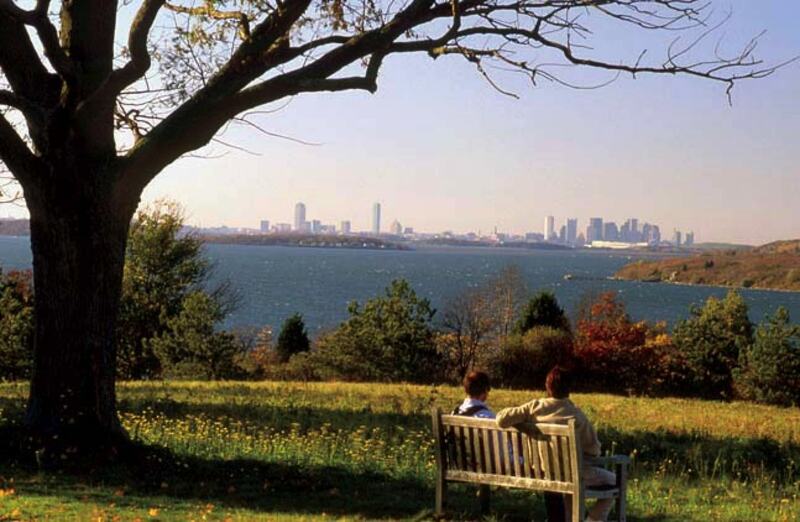 But when you step out from the trees along the farthest edge of this 251-acre peninsula jutting into Hingham Harbor and look back across the water at the toothpick peaks of the Boston skyline 15 miles away, the name seems to fit. Originally an island carved out by glaciers, the property was relinked to the mainland by colonial farmers and in the 1800s became part of a vast farming estate owned by businessman John Brewer. In 1889 Brewer commissioned landscape architect Frederick Law Olmsted, A.M. 1864, LL.D. ’93, to draw up plans to turn World’s End into a 163-lot subdivision. 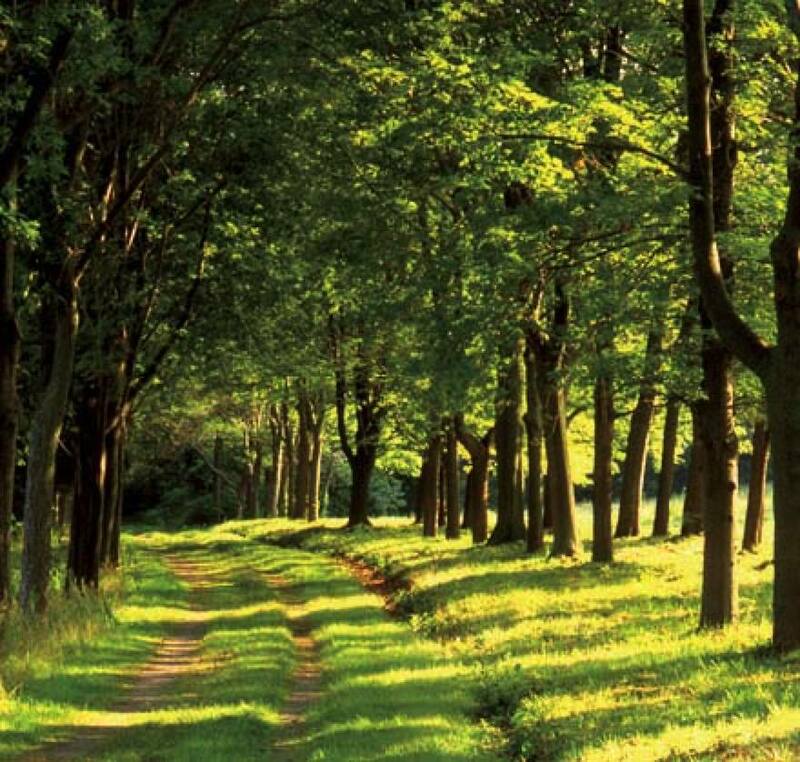 The development never materialized, but the carriage roads Olmsted designed were built and saplings planted alongside them; now those trees form a massive canopy, and the roads are wide, curving walking trails. In years past, other proposals have threatened the park: in 1945, it was considered for the UN’s headquarters (bound, eventually, for Manhattan); in 1965, for a nuclear plant. With its hilly meadows, rocky beaches, woods, wetlands, and a tidal marsh—plus those stunning views across the bay—World’s End can easily occupy two or three hours. Through October 31, visitors can wander through Danish artist Jeppe Hein’s conceptual work, A New End, whose mirrored columns mimic the surrounding landscape. On busy days, traffic can clog narrow Martins Lane, leading to the reservation entrance, and the parking lot often fills up. There is a car-free alternative: take the MBTA Greenbush Line to Nantasket Junction, and from there it’s an easy one-mile walk or bike ride. Or take the commuter ferry from Long Wharf in Boston to Hingham Harbor; from there by bike it’s less than four miles. Heading toward Boston, visitors can stop at Hingham’s Bathing Beach and the farmers’ market (open Saturdays through November 18). 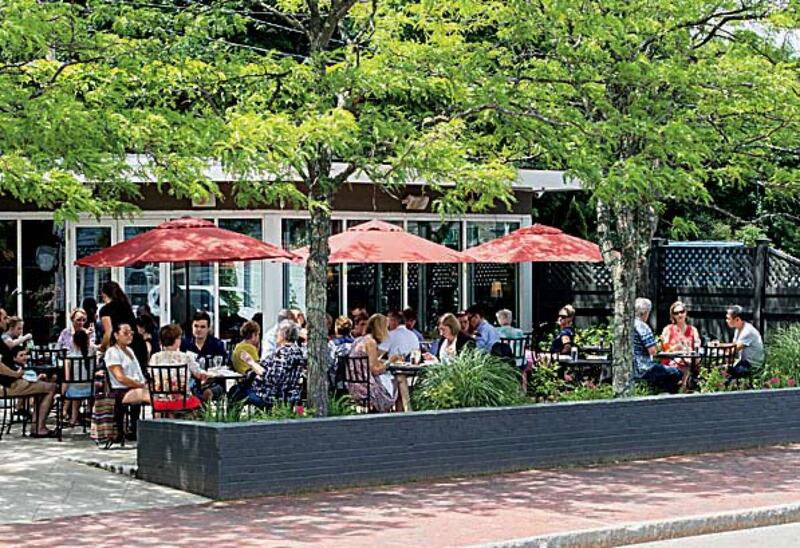 For full meals, there’s comfort food at Stars on Hingham Harbor; pricier, refined Italian fare at Caffe Tosca; or fresh lobster rolls and chowders at the Hingham Lobster Pound. 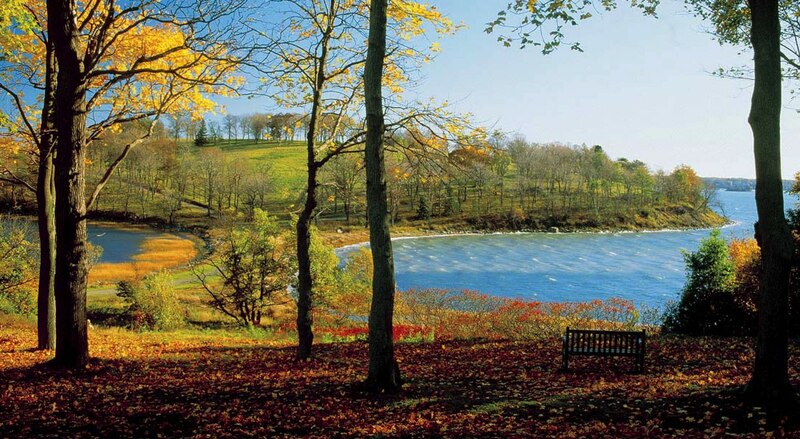 Hingham can be a quintessential New England day trip. World’s End is a popular Trustees site—more than 60,000 people visited last year—but even when the parking lot is full, the place doesn’t feel crowded. Standing at the edge of the water, you’ll have the view all to yourself.